Dawn in Erfworld follows the Night. Dawn signals the beginning of the day's turns. If there is only one side in the Battlespace then it signals their start of turn. If there's another un-alligned side then one will start turn at dawn, and the other once the first ends turn. Conversely, dusk or sunset happens once the last side to take turn in a battlespace ends turn, signaling the beginning of Night. Cleansing and Upkeep don't happen at dawn, but during the side's start of turn. Though both do happen simultaneously for sides starting their turn at dawn. For sides off turn at dawn, they may still rally and prepare for possible attacks before their own turn. 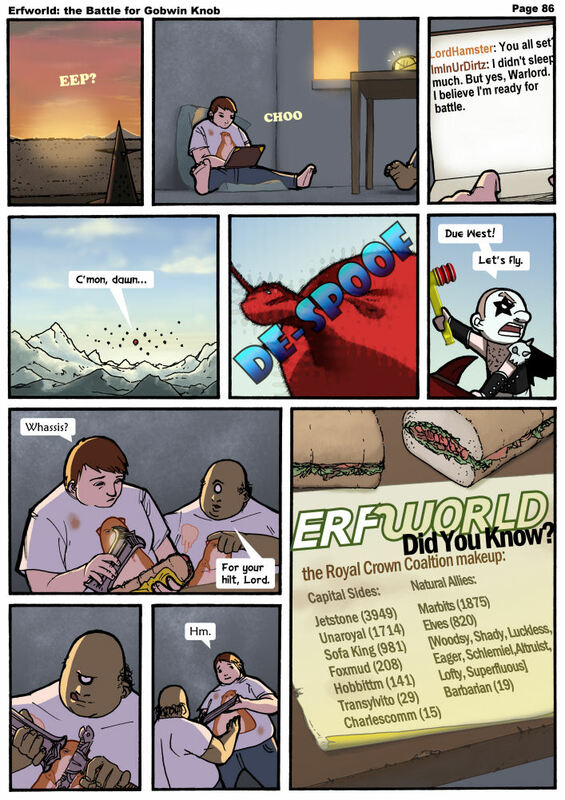 Time is relative in Erfworld, however Dawn happens at the same time for everyone. This page was last edited on 4 April 2014, at 20:01.